“Those who care about the future of democracy will appreciate Mr. VanDuren’s vigorous and rigorous examination of the way Dutch and English influences worked from the European Middle Ages down through New England, New Amsterdam, and New York to the Federalist Papers and the American Constitution in the late 1780s.” John C. Kemp, Plimoth Plantation. Have you ever wondered why we practice separation of church and state? Or have secular marriage, or freedom of religion? Or enjoy democracy and the rule of law? And equality under the law? No taxation without representation? As Americans we hold these concepts dear. Our republic was founded on them and we find them in our Constitution, of which James Madison was the main author. Madison’s vast knowledge of history was supported by a keen understanding of human nature. Alone in his library, he studied ancient and contemporary nations, foremost the Dutch Republic. The American confederation had been modeled on it, and suffered from the same shortcomings. 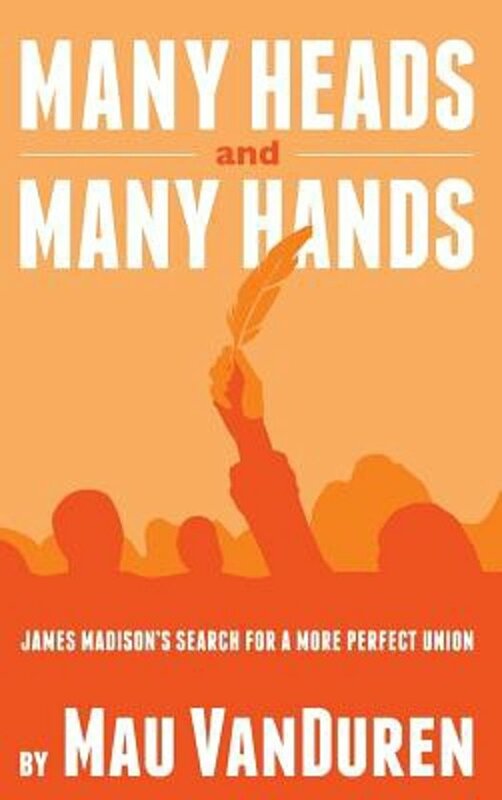 The people in whose footsteps he followed are the “Many Heads and Many Hands” who inspired Madison in his search for a “more perfect union.” From a cave in South Africa to the Roman Rhine, into Dark-Ages Paris, through the Burgundian lands to the marshes of Holland, and via the fields of England to the shores of America, this is a titanic story of scholars, pastors, princesses, generals, and common people too, striving over the centuries for security and freedom, and at last building a government that can promise both, within the confines of a just law.